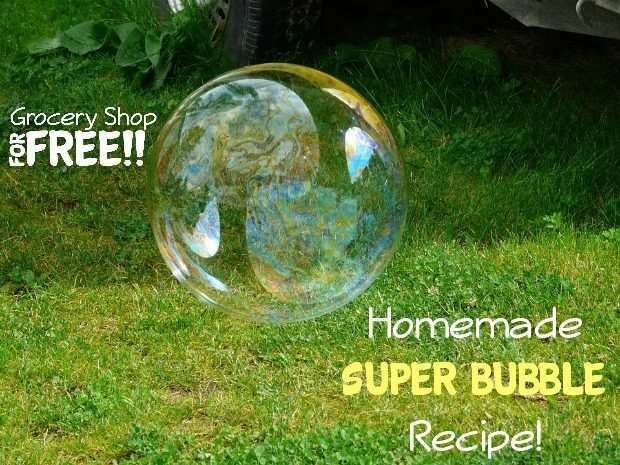 You are here: Home / DIY / Homemade Super Bubble Recipe! 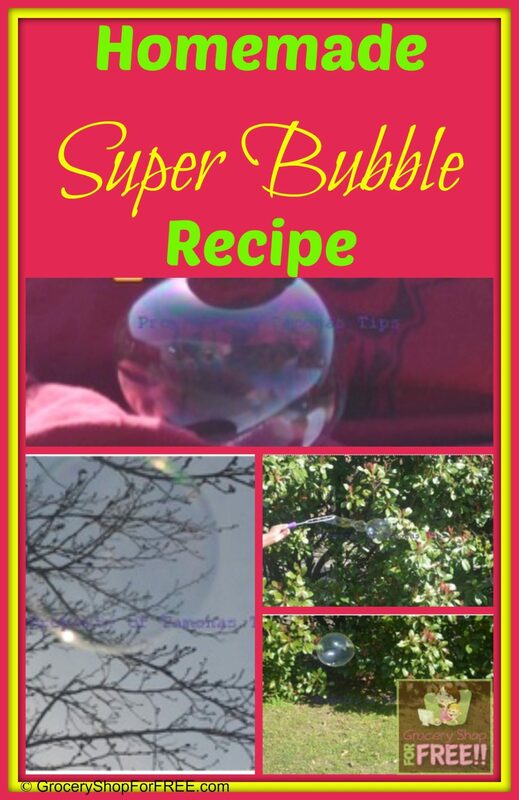 Today we are making my Homemade Super Bubble Recipe! I know there are much easier recipes for bubbles but this is my favorite. You need to make these bubbles 24 hours in advance. First you add your water and then pour in the corn syrup. Add the Joy Dish Detergent. I use Ultra Joy Detergent. Gently stir this mixture together so you don’t create bubbles. If you want glow in the dark solution, add about 6 glow sticks. Now with a bubble from a solution from the store, if you tap the bubbles they burst. Not with our Super Bubbles! You can hold them on fabric. They get bigger and they fly higher! This solution makes 1/2 gallon. Tamona is a work at home mom with a husband known only as The Honey and four children, lovingly referred to as, The Tax Deductions.